I am standing on the edge of a forest, my gumboots wedged in mud, the sun dappling the ground before me. There, standing in a warm mist, is the object of my foraging quest – spring nettles. Packed with nutrients our overworked domesticated soil can no longer provide, these graceful ‘weeds’ are a literal medicine – and I don’t just mean the kind sold (for a fortune!) in herbalist remedies. I’ve trudged for nearly an hour over bracken and fallen logs because I’m seeking a nourishment that goes way beyond the mechanics of nutritional components. By hunting, harvesting, preparing, cooking and serving these nettles, I plan to engage in a practice of conscious eating, to reconnect with my first relationship to nature. Truth is, I’ve become so dulled by a steady diet of mono-crops, processed pseudo foods, and the rhetoric of “nutritionism” – I’ve lost touch with what is truly life-sustaining. Case in point. I recently discovered the weeds I have been tirelessly toiling to eradicate from my garden (Lambs quarter and Purslane) are amongst the most nutritious plants we know of – far more ‘healthy’ than the domesticated salad greens I replaced them with. And this is only a microcosm of the bigger agricultural picture. Sad fact is, as we’ve tilled the soil, we destroyed the original humus and eliminated away whole bio regional food systems. Today it’s estimated we’ve lost 75 percent of plant diversity to a handful of genetically uniform, high-yielding monocrops ( i.e. rice, corn, soy and wheat). So I’m here in this dankly redolent forest grove to bypass thousands of years of agricultural conditioning. As I put on my gloves and begin to gingerly clip the top velvety leaves (which conceal a thicket of spiny stingers) I am seeking to remember a time when we roamed in tandem with seasons to gather the food freely provided by fields, trees, rivers and oceans. A time before ‘weeds,’ before the ownership of land and crop, a time when the food we consumed actually nourished us. While farming seems enshrined as a golden ideal, a given, a pastoral archetype of communion with mother earth, we forget that it subdued, subdivided, stripped and slash burned her. It required us to settle in one place, to develop cycles of cultivation and harvest, create tools and even develop whole new food stuffs (grain into flour). And slowly the natural diversity of foods provided seasonally by our regional landscapes disappeared. But perhaps the biggest change that occurs in our transition from hunter gatherer to farmer, is that food is no longer seen as a gift of nature but becomes a ‘product’ of human knowledge, craft and labor. It becomes a commodity to be earned by the sweat of our brow. And it’s clear; some vital nutritive element was lost in the process. Archeological records show the introduction of agriculture marked not only a general decline in height, weight, bone density, and dental health but an increase in birth defects, malnutrition, and “diseases of civilization”–such as cancer, osteoporosis, metabolic syndrome (insulin resistance), heart disease, to name but a few. 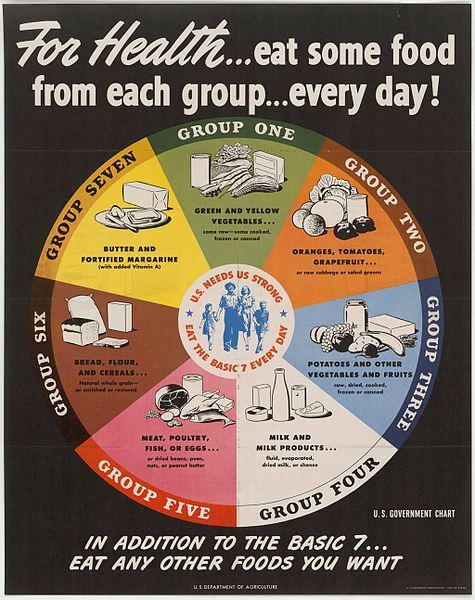 It is obvious that this trade-off of health for wealth remains the basis of our food system. Agriculture may have fed more of us but it left control of the food supply in ever fewer hands. Soon big business will own all the seed patents (maybe even the patent to life itself) and their genetically modified products (whose seeds are engineered to self destruct) will all there will be available for consumption. According to agribusiness and their food experts, it doesn’t matter if our food ‘ is grown, processed, preserved and fumigated with hundreds of toxic chemicals, then nuked with radiation. These interventions, we are assured, are necessary for food productivity and ‘safety’ but fact is, they just make the system more profitable by granting maximum shelf life. Food that is ‘dead’ can’t rot. Meanwhile food corporations receive government subsidy to churn out junk food so depleted of nutrients (that as food activist Raj Patel points out) even if we stuffed ourselves with it, we could literally starve. Fact is, our food supply is no longer the product of nature but of food science – and it may be labeled “all natural” – but it is anything but. So I ask you –finally – the big question. If the food we consume isn’t real – how can it possibly sustain us? Which brings me back to the dank black earth beneath my feet. To why I’m here hunting nettles, with my scissors and basket in hand. I’m here because I believe in the old adage – we are what we eat. Where our food comes from, how it’s made and what’s in it, does matter. I subscribe to the yoga philosophy which tells us we are composed of layers of energy sheaths, the densest of which is the Annamaya Kosha, food sheath – our material body. In other words – the food we eat literally becomes our flesh. A pretty scary idea when you consider how processed and irradiated ‘food’ in the light of Kirlian photography possess no ‘aura’ – the ghostly emanation of light energy (bio-photons) that normally surrounds living food, like raw carrots or broccoli. Now while food scientists cannot agree these Kirlian photographs mean anything, I nonetheless ask you to envision for a moment, how an auric picture of these nettles might reveal them ablaze with light and energy. I am grateful that this small patch of nettles in a Vancouver Island rainforest provides me a rare opportunity to eat outside a system in which food is produced not for nourishment – but for profit. Because if growing your own food is today considered the most radical of acts, one that can and will overturn the powers that be (as a popular food activist slogan states) – isn’t foraging truly subversive? So by filling my basket with free abundant produce, I reclaim my right to pure unadulterated food – and who knows, maybe even some vital force (whether it be chemical, photonic or energetic) no longer available (alive?) in the food supply. And as I begin the long muddy trudge back to civilization, I am already imagining how after steaming, chopping and sauteing these nettles (like fresh baby spinach in flavor and texture ) with leeks, mushrooms and pasture raised butter, I will bake them into a crispy golden pie. And tonight at the Sunday dinner table when my family tastes the wildness of this green forest grove, they will be fed with more than nutrients. 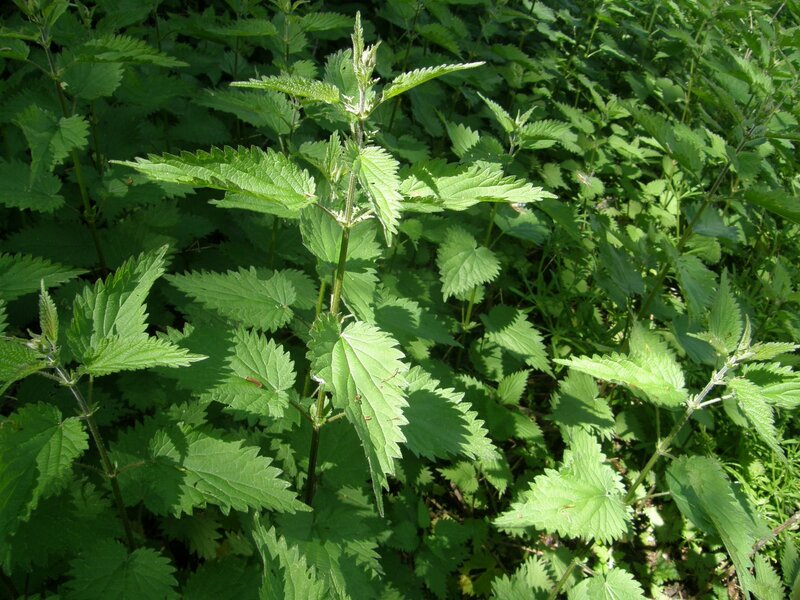 So in the yoga of spring nettle pie, I will make flesh out of everything these wild nettles represent. And as I eat, I will remember the tall forests and abundant fields that once covered this land. I will hold on my tongue and my heart the temple of blue sky, the birdsong filled trees, the trickling stream of spring run off. And I will remember how, despite standing so tall and so supple, their heart shaped leaves trembled in the wind as I bent down before them. And to that deeper mystery which drives life from the ground miraculously fusing sunlight, water and stardust into sustenance – I will remember to give thanks. Beautiful, Danielle! Very inspiring to ‘go wild’ and natural, and to see that ‘wild food’ is so available around us. Reminded me also of our ‘random’ encounter at the Root Cellar last year, and the Landscape Zodiac where we first met. I really appreciate your very original and clear posts that are such a pleasure to read. Be the Light in your World! Hello Melanie! Thanks so much, love your newsletter and video posts..maybe one day we can sit down and discuss yoga and the zodiac! Wishing you well too. you should give the recipe for your nettle pie — I made swedish nettle soup from the nettles abundant near my home in vermont, but the pie sounds lovely!